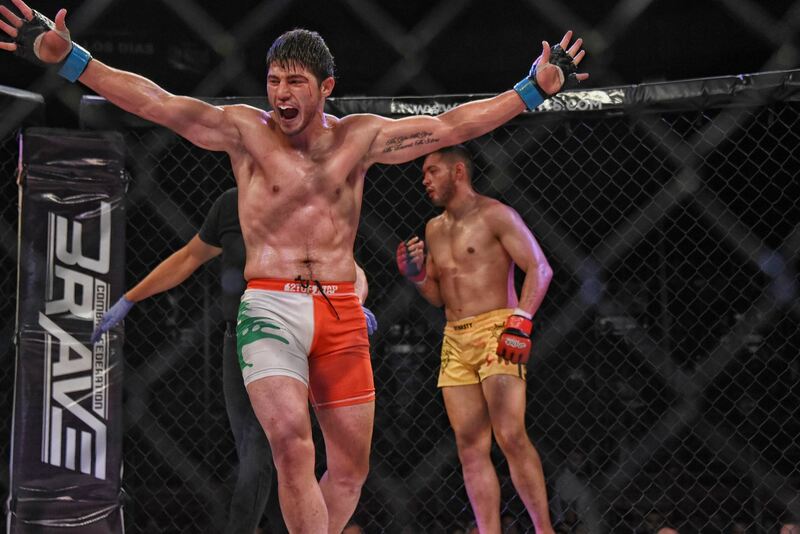 As always, Brave Combat Federation has once again proven why it is one of the largest and most promising fighting promotions around the world with its most recent installment in Mexico, giving a chance not only for the local fighters to showcase their pool of skills and talents, but also to the hungry Middle Eastern warriors as well. Perhaps one of the main attractions on the BRAVE 7 fight card was the scheduled bout between Hassan ” The Assassin ” Fakhreddine from Lebanon opposite the local Mexican favorite, Rodrigo “Pretty Boy” Reyes. Hassan Fakhreddine, who happens to be the brother of one of the most notable fighters in the Middle East region, Mohammad Fakhreddine, took this fight with less than one month of training as a complete mixed martial artist, having transitioned from a strong amateur boxing background. 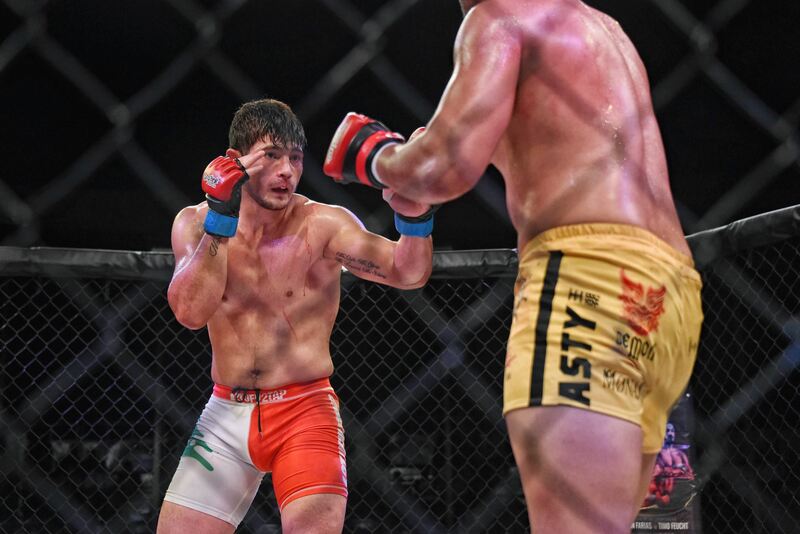 Similar to his older brother, his mental toughness and will to always come out on top in while competing motivated him to forcefully grab his first win inside the mixed martial arts cage, an objective that he achieved after ending the bout via TKO due to standing strikes in the 2nd round against an opponent who was 1-1 as a professional, before becoming 1-2 courtesy of Hassan Fakhreddine. Having trained MMA at 10th Planet Jiujitsu San Diego for only 1 months under Manolo Hernandez, who is also a matchmaker at Brave Combat Federation, Hassan had a pretty impressive debut. For those of you who watched the fight, it was evident that this young man still has a journey ahead of him in developing and eventually mastering all the key aspects of MMA. However, it is also crystal clear that Hassan Fakhreddine is a promising young fighter who is exciting and has a lot to share with the sport and its fans, especially with his entertaining style that projects an aura of exceptional confidence, with him standing right in his opponent’s face and line of fire, walking forward, constantly engaging and pushing the pace with his mixed strikes of punches, as well as occasional kicks. “I wanna congratulate my brother for winning his pro debut at Brave Combat Federation. I also want to thank the promotion for giving him this opportunity to make his pro debut against a tough and much more experienced Reyes, I told you this kid is a beast. He punches too hard and his opponent didn’t want any more of it. It’s a great feeling seeing my brother do well, and do so with style. A lot more is yet to come of Hassan I’m sure”. With his big brother Mohammad proud, and with Hassan’s impressive TKO victory, surely there is a lot more to come. It is interesting to see what Hassan’s next move will be in terms of his next fight, opponent and weight class. He is doubtlessly an interesting upcoming prospect to keep an eye on.